I picked this up for 50p at the weekend: 2000AD Prog. 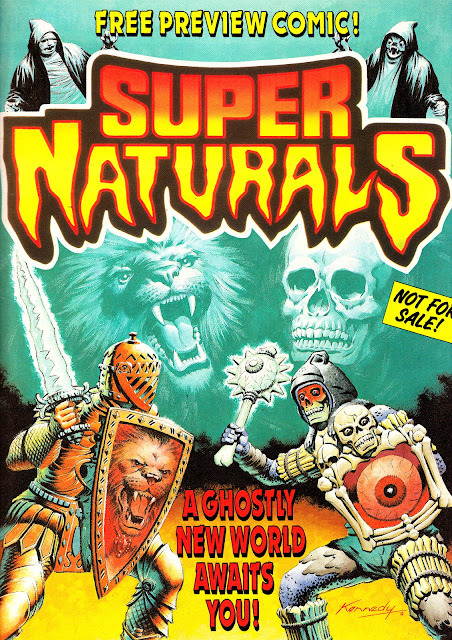 546 (31 October 1987) with free SUPER NATURALS 16 page Preview Issue & Fact File, still unopened in their original bag. 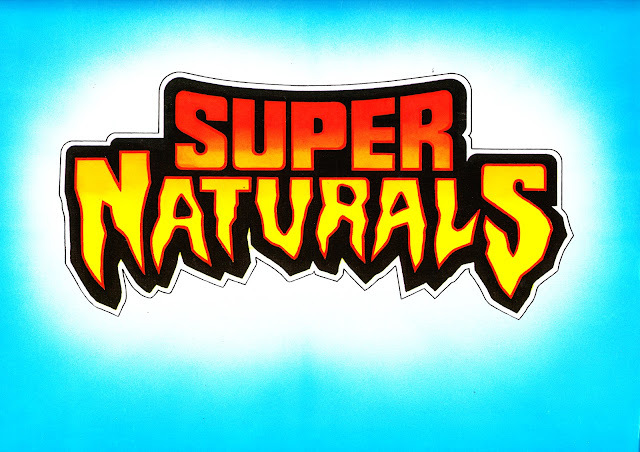 Super Naturals was yet another toy tie-in, this time based on a range of figures and vehicles from Tonka Toys. The advert below, which appeared on the back cover of the preview comic, shows some of the toys in the short-lived range. Like Hasbro's VISIONARIES, the main gimmick was holograms. 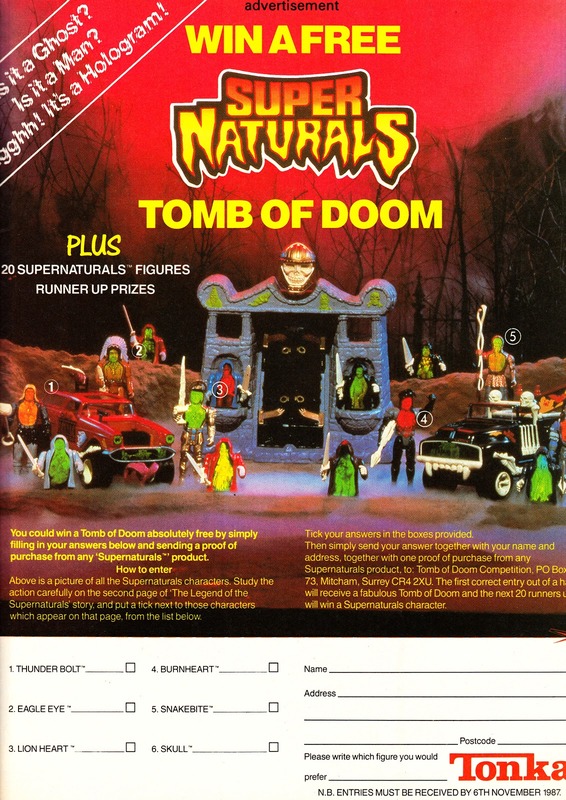 There was no animated TV tie-in, a shortcoming which may have helped seal the early fate of the toy line. This freebie issue came bagged with copies of 2000AD and EAGLE (also dated 31 October 1987). The first regular issue went on-sale shortly thereafter. Subsequent issues appeared fortnightly. Also tucked into the bag, but not mentioned, was a cardboard Fact File with a brief paragraph on the key characters. The regular comic followed the format of fellow Fleetway toy tie-in M.A.S.K: a mix of colour and black & white interior pages on semi-glossy paper. 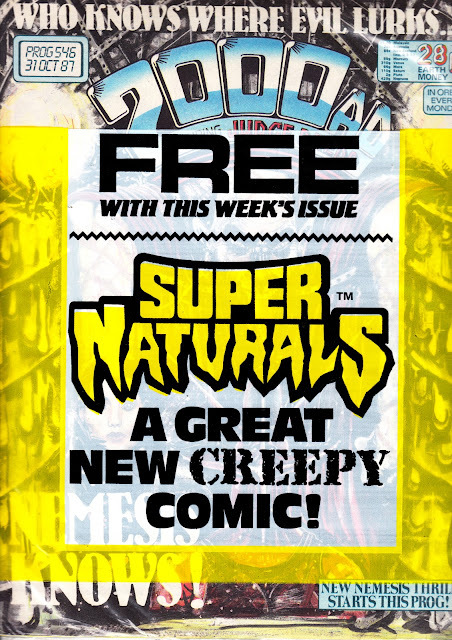 Both enjoyed a standard of printing superior to Fleetway's own in-house weeklies. The fortnightly obviously failed to make much of an impact and quietly vanished. A quick search online suggests it only clocked-up nine issues before cancellation. Management pulled the plug completely and didn't give Super Naturals - ahem - an afterlife in another Fleetway book. 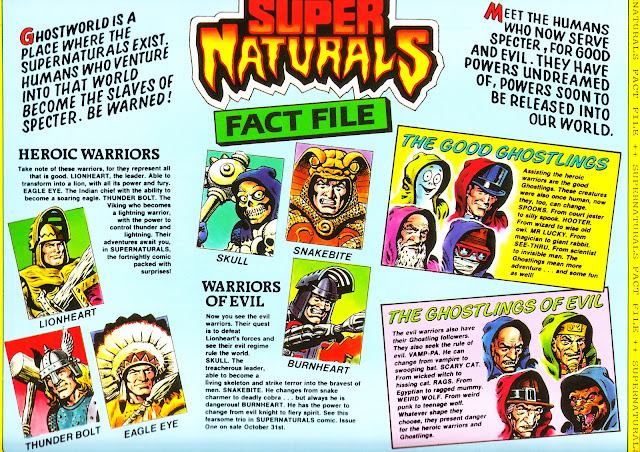 Fleetway did spin-off an ADVENTURE BOOK in early 1988. I need to unearth my copy, but I believe it featured material left unused when the regular title was cancelled.